Hello, I'm Rudi Lejaeghere. I've written poetry and prose for more than 45 years. By joining this website, I hope to meet other writers and readers and to exchange ideas about theirs and my work. Katarina and Jean-Pierre have new adventures in this sequel of 'The Woman in Red'. A secret sect with demonic rituals is targeting them. Furthermore, the American mafia has still a score to settle. This is one of the best stories I've read till now. I don't understand why it hasn't more hearts, votes I mean. It's very exciting and humorous in the dialogues. You describe the main characters, Garrett, and Kaethe very well. I love the story so far and I surely will give it my vote already. Well done. Keep writing and I will follow this story. I'm also with a story on NaNoWriMo: 'The Woman in Red'. If you would return the favor I would be very honored. After a very dark and frightening scene in the first chapter, burning houses and chaos everywhere, we're arriving in a beautiful world. No, it's not Scotland (I've been there this summer and it's magnificent there), but it's very mysterious and you describe it very good in your second chapter. I like to read more later on and I surely will follow this story. Keep writing. For now I'll give you my vote and heart. I'm here too on the list with a story: 'The Woman in Red'. If you would return the favor I would be honored. You've certainly written a very fine first chapter. It's the beginning that counts to hold the attention of the reader. The chapter is mysterious but also very exciting with that kind of snake/woman monster. The dialogues are very good and not too long. I'm very interested in how this story develops. For now I'll give you my vote and a heart. I'm also on the list her with my story 'The Woman in Red'. If you would return the favor I would be very honored. I don't understand why this story has no more hearts (or votes). It's one of the better stories I've read the last hours. You bring interesting characters, lively dialogues with some humor, but also a mysterious and exciting tale about strange creatures. A real good fantasy story. I'll surely want to read more about this story. I'm also on the list with my story 'The Woman in Red'. If you would return the favor I would be honored. It's certainly a bloody beginning of a story, but it's only a dream or is it not? Mysterious and I'm wondering how this will evolve. I'm surely going to read more about this. I'm also on the list with 'The Woman in Red'. If you would return the favor I would be honored. You have a good beginning here of a story. The cyborg theme is always good for a good tale that is exciting and fast going. I've read all the chapters you have posted and I'm surely interested to read more about your story. Keep writing and let me know when you post another chapter. For now I'll give you my vote, and of course, a heart. 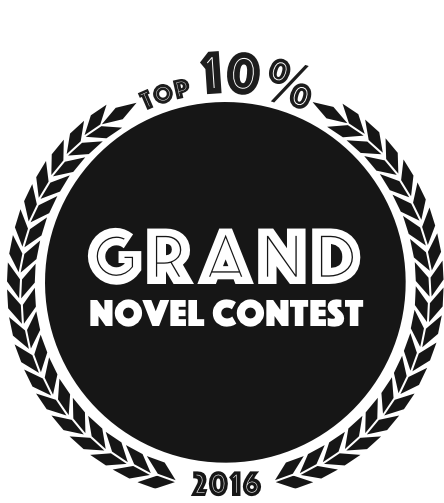 I'm also on the list here on nanowrimo with 'The Woman in Red'. If you would return the favor I would be honored. Keep writing.